Well what the hell was that all about? 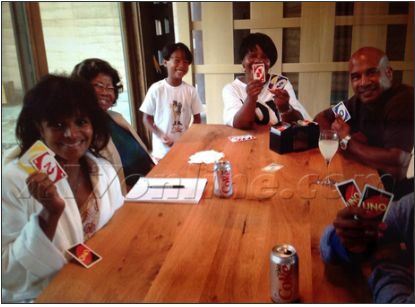 That thought is probably going through the minds of some of you after seeing a photograph of the head of the Jackson family, Katherine Jackson, relaxing and playing UNO with her daughter Rebbie and other family members in Arizona. X17online posted a photo of Katherine Jackson visiting her granddaughter Stacy and grandson London after somebody got the family and the media all hot and bothered about Mrs. Jackson being missing. A police report of some sort was made and the local Pima County Sheriff’s Department started investigating. Reportedly, the Sheriff went to the house in Arizona where Jackson was staying to conduct an interview in relation to the report. 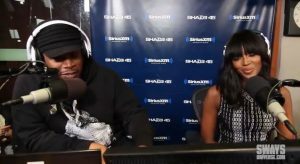 When he got there, he saw Katherine Jackson at a table with her family playing cards and apparently talked to X17online about it. Also according to the police, K. Jackson’s nephew, Trent, is being investigated for filing the false police report. The pending investigation with the LA County Sheriff’s Dept. 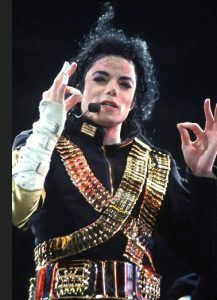 also reportedly includes Michael Jackson’s estate executors John Branca and John McClain, along with Jackson family “advisers” Lowell Henry and Perry Sanders Jr.
There’s word the family believes Trent Jackson to be “the very person and persons we are trying to protect our mother from”, according to a statement. No word as to why those suspicious family members would protect Katherine Jackson but NOT take Michael Jackson’s kids (probably the most apt to be taken advantage of) to Arizona as well. 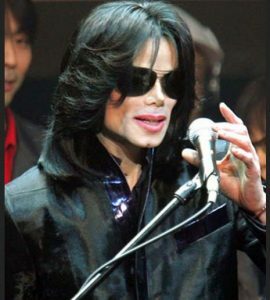 According to a statement supposedly released by the family, they call the missing persons report false, and allege it was done to draw attention from a letter they wrote asking the Michael Jackson Estate executors to resign. 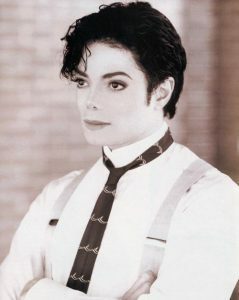 “We believe there is strong evidence that supports the falsification of documents in order to takeover and profit from the estate of our beloved brother, Michael Jackson. We want answers. Moreover, according to X17online, a website claiming to have insider information about the Jacksons is getting that info from Trent, according to the Jackson family’s suspicions.